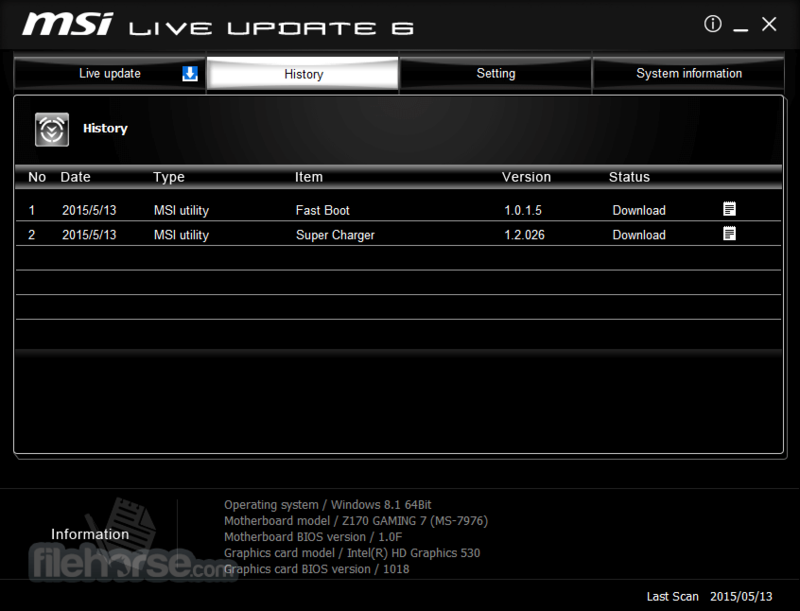 MSI Live Update is a amazing update software free tool with user-friendly interface, provides an automatic scan and download BIOS, drivers, firmware and utilities for your MSI products. Using this service to keep your system in the most updated environment. 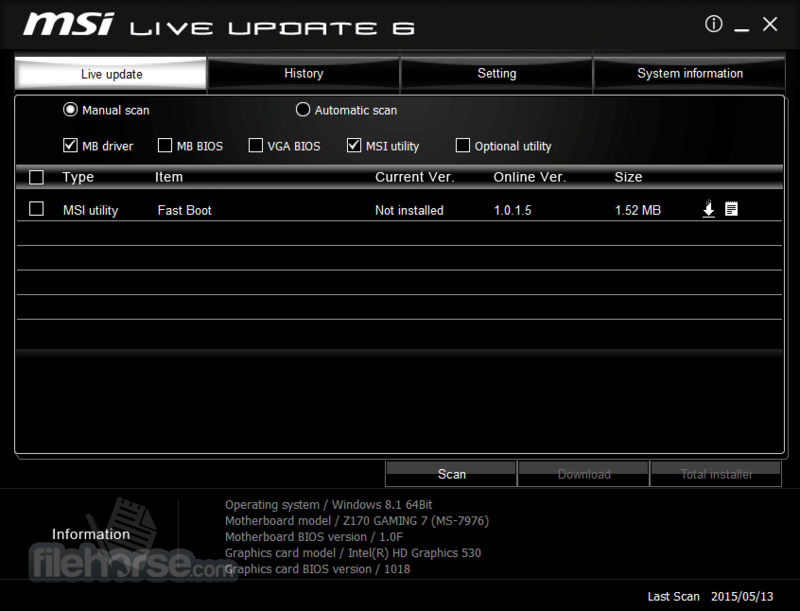 The program is only intended for MSI Desktop PC related products (motherboards and graphics cards) usage. This utility doesn’t support any MSI Notebook (NB and Tablet PC) or AIO product, while installed might experience unexpected errors. 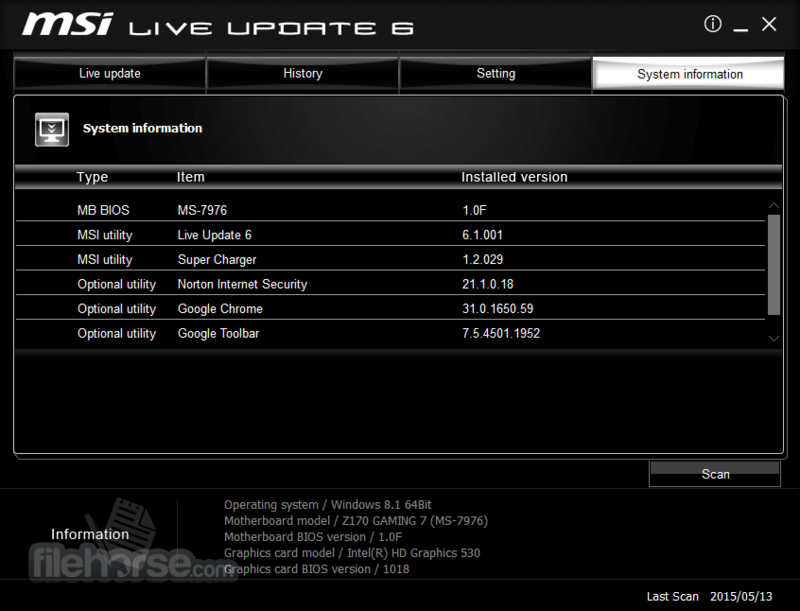 If it happens that you have installed MSI Live Update on your Notebook or AIO system, please uninstall it then perform system restart. Note: Do NOT use Live Update for AIO PC and Notebooks. Requires MSI Mainboard and .NET Framework.